The holidays will be here before we know it, and your customers will be shopping for gifts. Some of those gifts are sure to include jewelry, watches and engagement rings. In fact, according to Statista.com, at least 18% of annual jewelry sales occur during the month of December. That means there's no time like the present to educate your customers on the importance of jewelry insurance coverage. What should your customers know about jewelry insurance? Here's a quick primer. The annual premium for a jewelry insurance policy usually falls between 1 and 3 percent of the value of the item(s) insured, which is a small amount for your customers to pay to fully protect their valuable jewelry. 2. Homeowner's and renter's policies are not enough. If your customers have a homeowners or renters policy, they may assume their jewelry is already covered. These policies, however, usually impose caps on how much they can pay in the event of a loss. If the jewelry is worth more than a few thousand dollars, this type of policy would probably not be sufficient. 3. There's a difference between riders and dedicated policies. Your customers may assume that the best or only way to insure their jewelry is to add a rider to their homeowner's or renter's policy. Riders may offer higher limits and broader coverage; however, they may not be designed specifically for jewelry. If an item is worth insuring, it makes more sense to go with a policy designed for that purpose. Jewelry insurance can cover a wide range of partial and complete losses - from "mysterious disappearance" to chipped stones. It also provides customers with a great deal of choice, allowing them to have their piece recreated by a custom designer, or repaired by the jeweler of their choice. Depending on their needs, there is an affordable policy that will fit the bill - and with a gift as precious and meaningful as jewelry often is, it's well worth the effort. During the season of giving, give your clients some invaluable tips about how to protect their jewelry. If you have customers who are planning to purchase a precious gift for someone this holiday season, make sure they know what jewelry insurance can do for them, and how important it really is. To learn more about how to provide quick jewelry insurance quotes and earn lucrative jewelry insurance commissions, contact Daniel Husser at RLI at Daniel.Husser@rlicorp.com or log into www.bigimarkets.com and select Jewelry Insurance from the personal products menu. 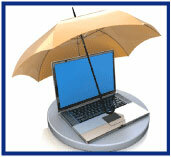 Regular readers of Two for Tuesday know that offering personal umbrella coverage to every client is essential. But did you know that we have developed a customizable declination form that you can use to document that you've offered umbrella coverage in your client files? Click here to download our PUP Decline Form. Simply add your agency name to the bottom using the PDF form field. Securing surety bonds can be a time-consuming, costly and even embarrassing process for many agencies. Producers and CSRs can face steep learning curves if they want to handle the product. With hundreds of different bonds available, your staff may not know which markets are most likely to write a particular class of bond, which forms to use, or what information to request from the insured. This lack of expertise will quickly become evident to your client and ultimately impact your bottom line. 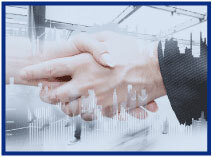 Big "I" Markets' partner Goldleaf Surety Services is here to help. With one call, we'll provide your agency with instant access to almost every type of bond your clients will ever request, from performance bonds to almost every other type of surety and fidelity bond that may be needed. We also have extensive experience with all forms of license and permit bonds, court bonds, fidelity bonds and other commercial and miscellaneous bonds. With tremendous capacity, a huge range of solutions, and exemplary service, Goldleaf Surety Services is your agency's first call for help and ultimate surety safety net. Big "I" members can contact Goldleaf by logging onto www.bigimarkets.com (select the appropriate bond type from the bond options on the commercial markets menu) or by calling Goldleaf directly at 1-888-294-6747 (ask for Lori Olson). DocuSign and IIABA (The Big I) have partnered to bring you a 3 part webinar series on Digital Insurance. The digital workplace is the new workplace. Digitizing your business allows you to do service customers and sign new policies anytime, anywhere on any device. You no longer need to wait until you get back to the office to “fax the form over”. By digitizing your workforce, you can better serve customers and sign more new policies Don't wait, register today for part 2 of this 3-part series and learn how other insurance agents and brokers are using DocuSign to improve workflows. 1. According to the link in the jewelry article above, which year had the highest percentage of December jewelry store sales? 2. Born on this day (September 6) in 1893, General Claire Chennault led the famous "Flying Tigers" squadrons during World War II. What was unique about how they painted their planes? 3. Peter McGuire is credited with first proposing the idea of Labor Day. What man with a similar name may have actually been the first? In the claim example on the PUP Decline form linked above, how much did the umbrella policy pay over the homeowner policy? Congratulations to our agent in Minnesota on an affluent homeowner sale of $14,736 in premium!